For someone who used to not care much for lip products, let's just say I've had a change of heart! While lipsticks are mostly what I reach for when it comes to painting my lips, I've slowly been warming up to other formulas, such as liquid lipsticks and lip glosses. The NEW Make Up For Ever Artist Plexi-Gloss Lip Lacquer range is somewhat of a cross between both, providing both high shine and intense pigmentation. Featuring 35 gorgeous shades in a sheer or opaque finish, this range definitely has something for everyone. 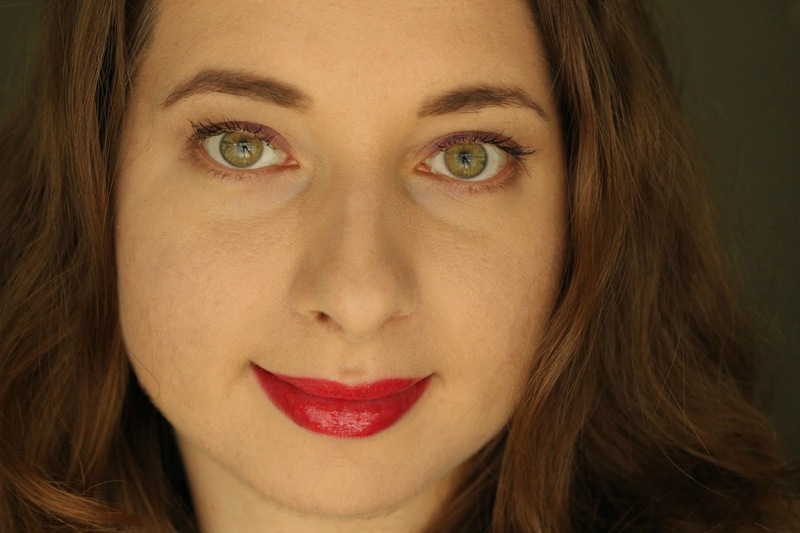 I got to try shades 209 Fuschia Pink* and 403 Red*, and considering I do not own anything quite like them, I am thrilled to share how they have been working for me. Both of these shades have an opaque finish and are very bright and 'out there' - what you see through the bottle is literally the colour you will get on your lips. 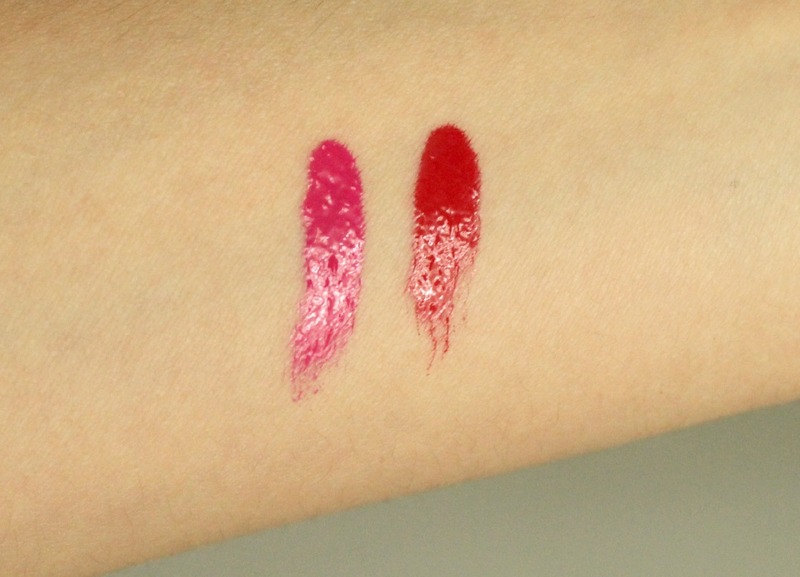 The first one I swatched and wore is the Artist Plexi-Gloss Lip Lacquer in 209 Fuschia Pink. 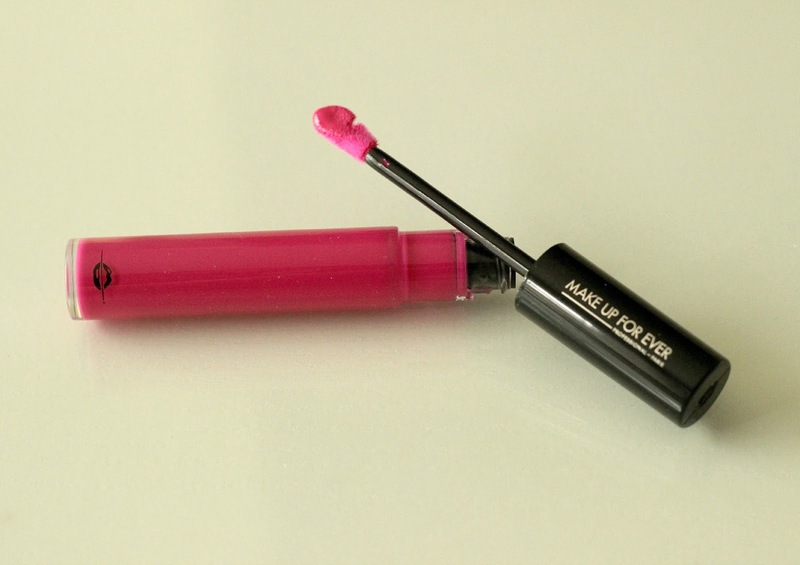 It is certainly a bold pink with a bit of a blue undertone to it. The colour is absolutely stunning, and although it is super vibrant, I can still manage to pull it off. 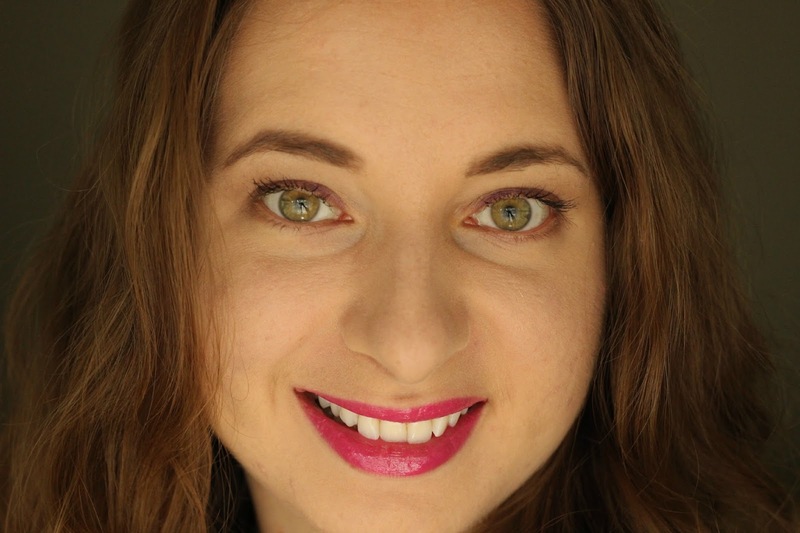 I make sure to keep the rest of my makeup light and neutral not to overpower my lips. As my coworker said, "it's super bright but it doesn't make you look like a clown." She reassured me that she meant it as a compliment! 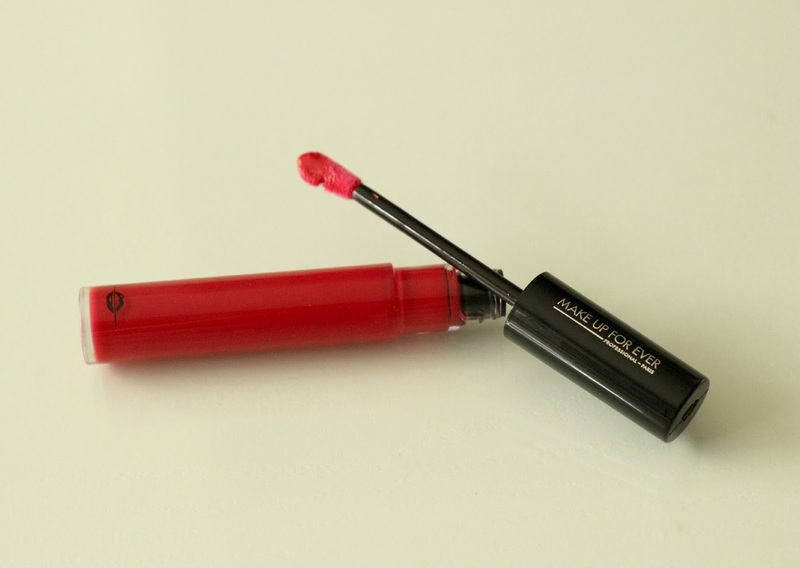 The Artist Plexi-Gloss Lip Lacquer in 403 Red could almost pass as a fire truck red but with a much glossier finish. The wand on these is pretty funky - they come with a flexible doe foot applicator that is flattened and has a small crevice that is meant to act as a 'reservoir' to evenly distribute the product in one easy stroke. From my experience, this feature doesn't quite do the trick because I have to pump the product a couple more times for it to coat my lips completely. When I first took the wand out, I thought it would be super sticky because a thin film forms each time you pull it out, but I am happy to report that it does not glue my lips together. The staying power on these is pretty impressive: I really put them to test and wore them at work, and despite lots of chatting and drinking almost an entire bottle of water, these lasted me a good 4-5 hours before they started fading. After swatching the colours on my arm, I tried removing them with my Bioderma Sensibio H2O Micelle solution (reviewed here), but it only removed the top glossy layer and left two big stains. So I had to reach for my trusty coconut oil to finish the job. Final verdict? I like them a lot! I will even say they are better than the Aqua Rouge Liquid Lip Colors (see here) because you don't have to apply them in two steps. 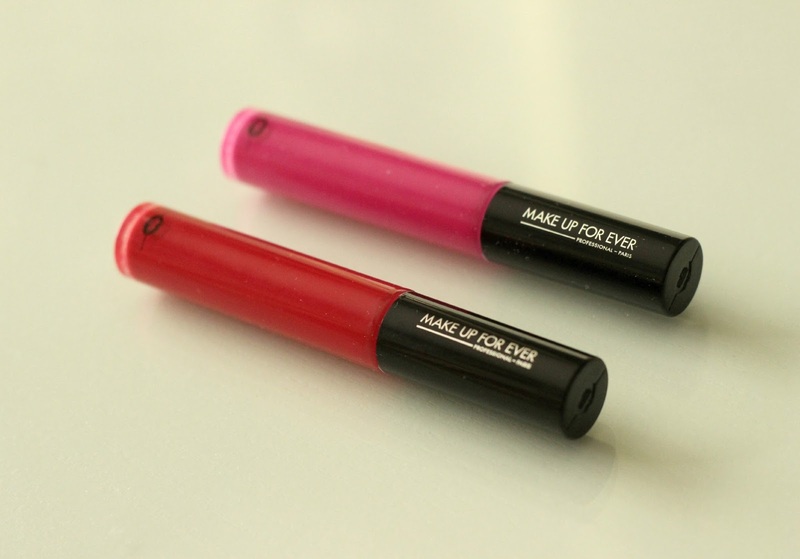 The Make Up For Ever Artist Plexi-Gloss Lip Lacquers (7 ml, $23 CAN) can be found at Sephora, in stores and online. Are you a fan of liquid lipsticks? Which do you prefer - pink or red? Welcome to the lip lovers club! lol Glad to read that you liked these because I have yet to review them and I'm looking forward to it. Love the shades that you have, especially that red hue. If the Bioderma didn't remove them right away then they must have some serious lasting power! Like the gloss and the lovely shades,thank you for this lovely review! gorgeous! makeup forever does NO wrong in my book!!! Wow! I love liquid lipsticks and these are gorgeous! The pink one is sooo pretty and the staying power sounds very impressive! Both look great on you! But...YOU DRANK WATER WITH THESE ON? I automatically envision the gloss getting all over the bottle LOL ._. Ah, I remember as a kid, I swore I would never wear lipstick. And now, here we are. And I'm WRITING ABOUT LIPSTICKS TOO. 10-YEAR OLD VANESSA WOULD BE ASHAMED. Also, belated congrats on your third blogiversary! !